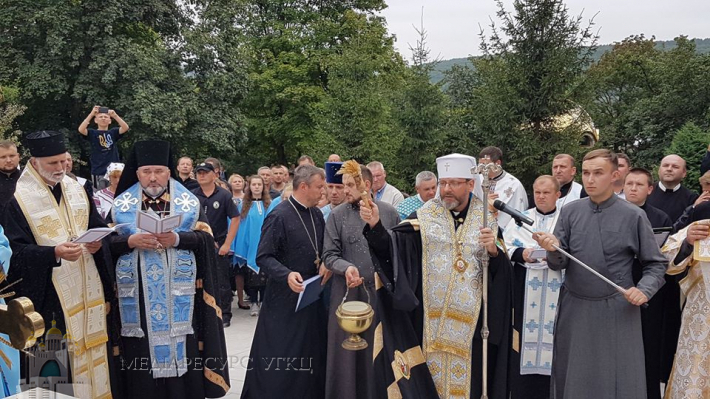 Today, August 27, His Beatitude Sviatoslav, the Father and the Head of the UGCC, carried out the sanctification of the unique complex of "Ukrainian Jerusalem" at the Mari spiritual center of Zarvanytsia. Fr. Francesco Patton, OFM, the chief custodian of the Holy Land, who brought a stone from the Holy Sepulchre, took place in the consecration. 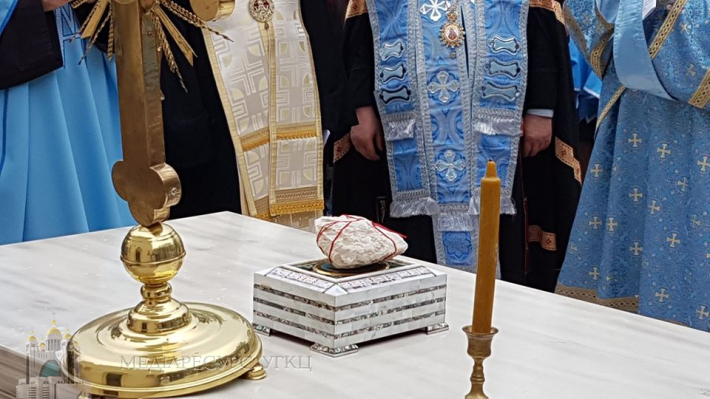 The holy relics, therefore, will be built into a copy of the building in Zarvanytsia. 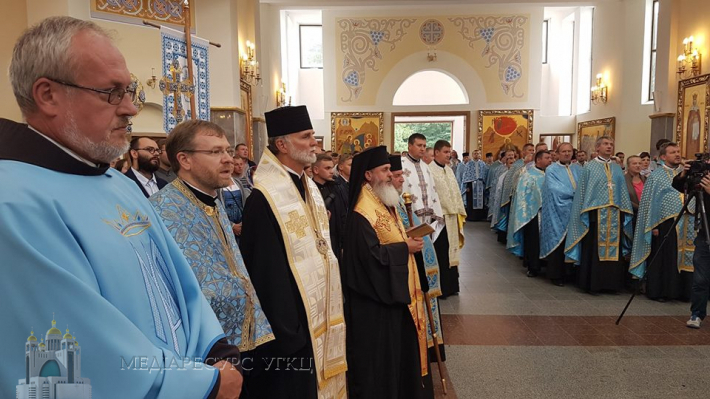 His Beatitude Sviatoslav was greeted by the numerous Church Bishops led by Archbishop of Ternopil-Zboriv Vasyl' (Semeniuk), about 100 priests and a large number of faithful. 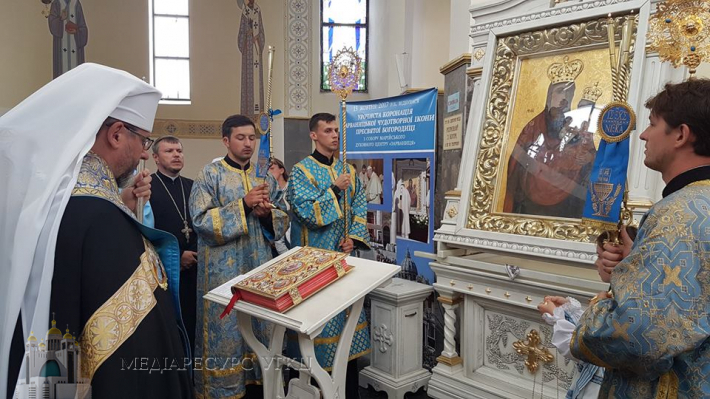 At first, everyone attended the Cathedral of the Zarvanytsia Mother of God, where, before the miraculous icon, the Moleben' to the Blessed Virgin Mary was served. Then the procession, under the majestic sound of the bells, headed to the top of the hill, past the stations of the Cross Road, to the place of consecration. The unique complex of religious buildings of the Holy Land, which construction began in the summer of 2014, included a copy of the Holy Sepulchre, Golgotha ​​- the mountain on which Jesus was crucified, Garden of Olives, where Jesus prayed before His arrest, Stairs of Repentance (Holy Stairs) that Jesus Christ climbed to court to Pilate, Bethesda font, where the sick were healed, the Lion gate and the Tower of David. "At this moment, before our eyes and with our sinful hands, God's work has come to pass. 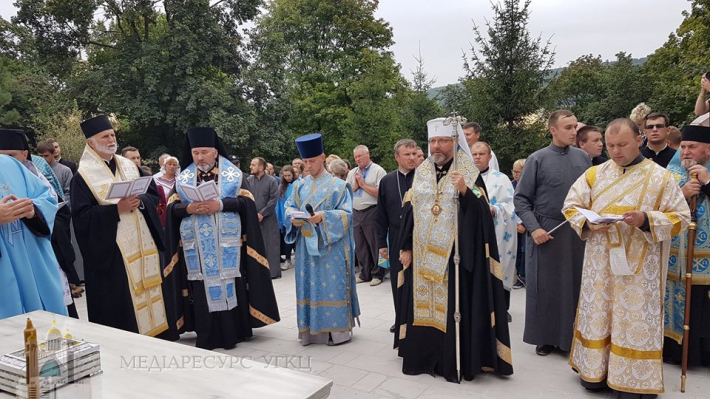 Today we solemnly called for the grace of the Holy Spirit to sanctify a place that is a copy of the city of Jerusalem, a place that our people have already called "Ukrainian Jerusalem," said His Beatitude Sviatoslav. 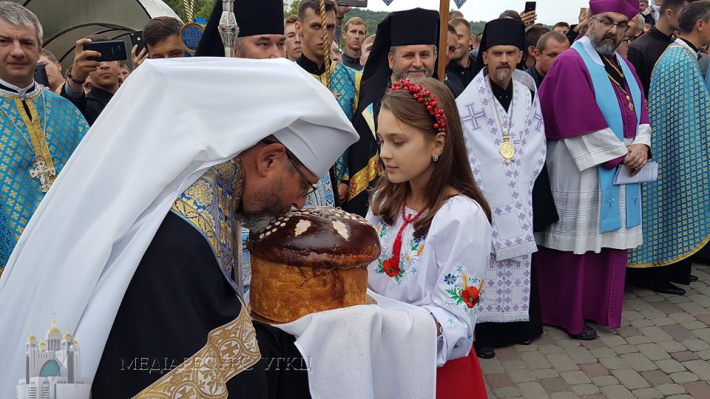 - There is no better place in Ukraine than in Zarvanytsia, where for the first time in the history of our land the "Ukrainian Jerusalem" has been built. 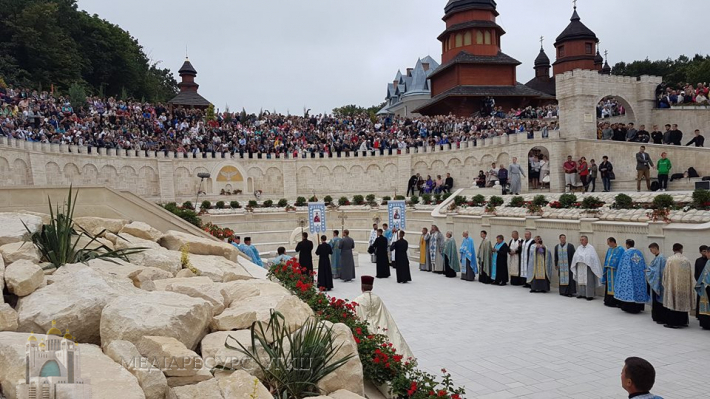 This is the place that the Lord Himself chose through His Immaculate Mother as the meeting place with the Ukrainian people. 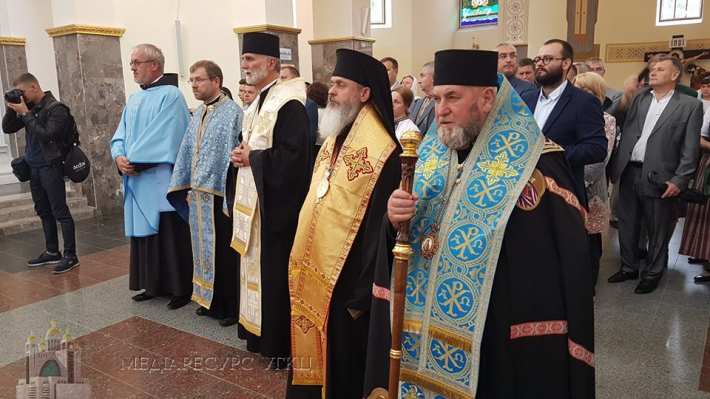 In conclusion, the Head of the Church noted that "here a prayer for peace in Ukraine will be heard, because peace is a gift which in due time the Lord will send us according to the prayers of God's people." 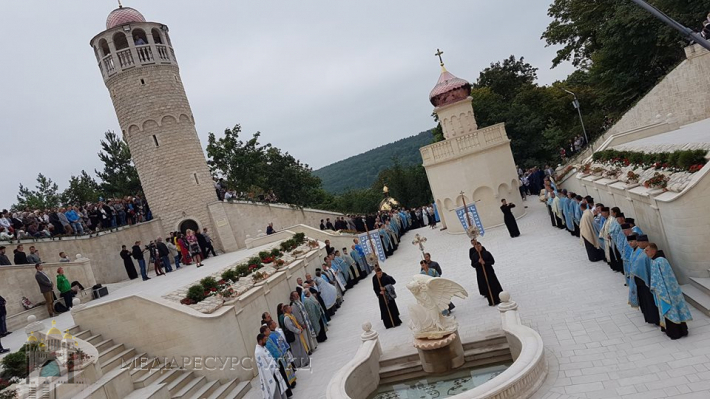 "We believe that from the day we blessed the "Ukrainian Jerusalem," God's Name rests here," said His Beatitude Sviatoslav. 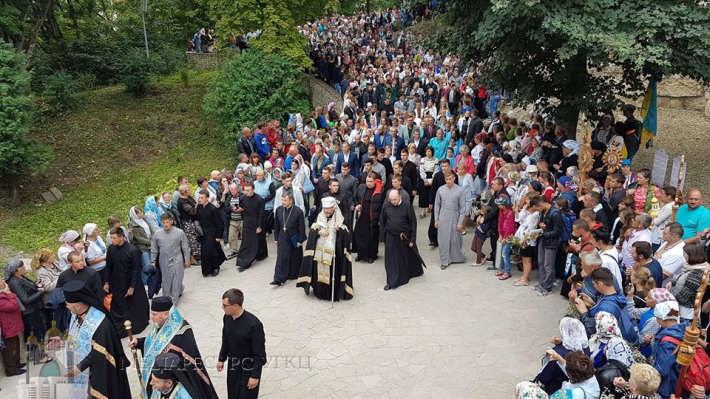 Since the pilgrimage took place on the occasion of the Feast of the Dormition of the Blessed Virgin, traditionally the most numerous was the presence of the faithful of the Kolomyian diocese of the UGCC, headed by Bishop Vasyl' (Ivasyuk). 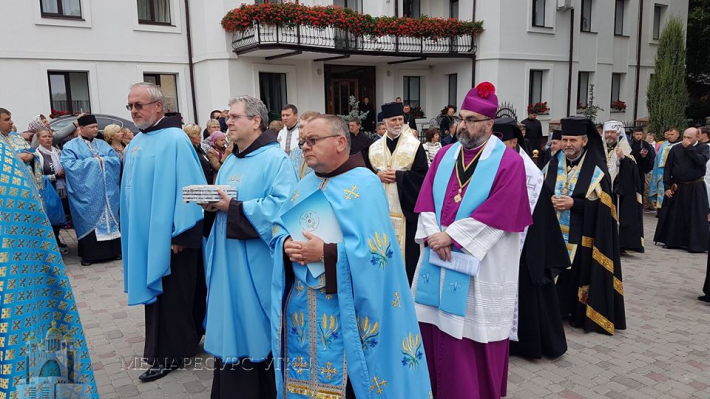 Special guest was Bishop Boris (Gudziak), Eparch of the diocese of St. Volodymyr the Great in Paris for the Ukrainian Byzantine rite in France, the Benelux countries and Switzerland. 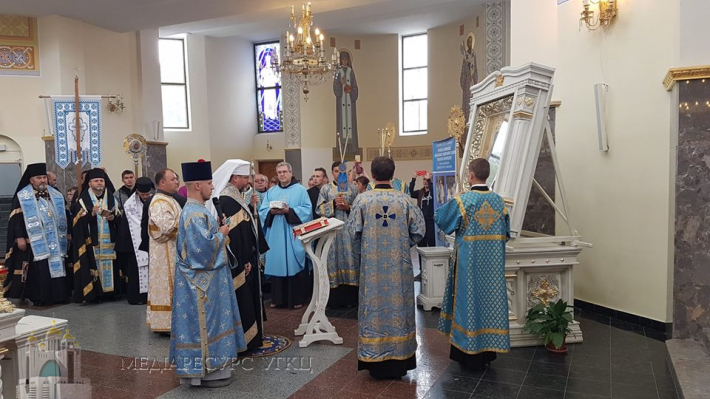 After the Vespers with the Exposition of the Shroud, which took place at the Cathedral of the Zarvanytsya Mother of God, the Hierarchical Divine Liturgy was celebrated. 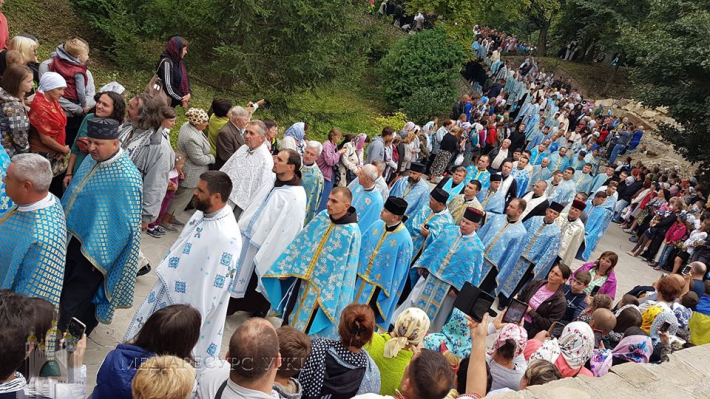 Also, the faithful took part in the march with candles to the monument of the Blessed Virgin. 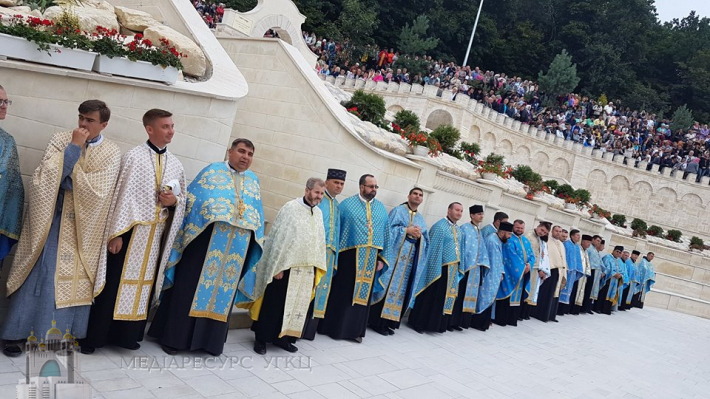 On August 28, the Bishops led the Hierarchical Divine Liturgy at 7.30 am on the podium near the Cathedral and at 9.00 in the Cathedral of the Zarvanytsia Mother of God. Then there was a consecration of water.